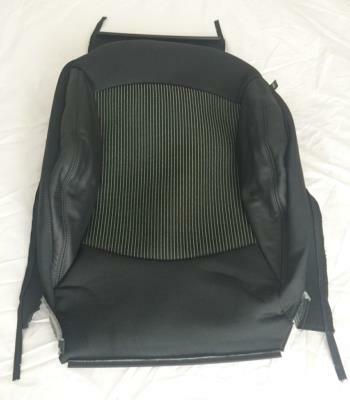 This will fit Mini R55, R56 and R57 models made between 11/2009 and 8/2010 with the "Ray" upholstery which is cream/white stripes with zipper and black leather side bolsters. The Mini part number is 52107255581. Please check this part number against the last 7 digits of your VIN number using the Mini electronic parts catalogue before buying. If you don't know how to do this, send us the last 7 digits of your VIN number and we will do it for you.